Grand Valley State senior middle blocker Sydney Doby won her first career GLIAC South Division Player of the Week honor for her performance during the week of Monday, Oct. 23, through Sunday, Oct. 29, in the Lakers' wins against Tiffin and Ashland universities. In pursuit of their ninth straight victory this fall, the Grand Valley State women’s tennis team had to overcome GLIAC rival Saginaw Valley State during the Lakers’ Senior Day Saturday, Oct. 21. The Grand Valley State rifle club is the busiest club sport you didn’t know about. The puck sadly didn’t slide Grand Valley State’s way this weekend. The undefeated start to the season came to a halt when the GVSU men's club hockey team (Division II) lost to the White Tigers of Trine University 3-2 Friday, Oct. 13, and 4-3 Saturday, Oct. 14. After winning their first two games of the season, the Grand Valley State women’s club hockey team suffered their first loss against Michigan State Saturday, Oct. 14, at the Georgetown Ice Center. The Grand Valley State women’s rugby club team, one of the best club sports programs at GVSU, has created a promising lead to start the fall season. GVSU Athletics has developed and launched the GVSU “Laker Nation” mobile app, which records and rewards students and fans who regularly attend athletic events. Whether it’s having the winningest football program in all of college football, claiming three of the last four women's soccer national championships, or capturing four straight NACDA Director’s Cup trophies, Grand Valley State Athletics are highly regarded throughout the nation. 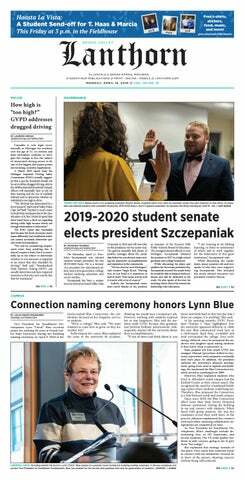 But there’s one GVSU sports program whose recognition is seemingly found in unchartered waters: the Grand Valley State co-ed club sailing team. After winning three of the past four national championships, the Grand Valley State women’s soccer team has earned the right to cement itself as one of the best overall teams in Division II.